One of our grower–artisans, Mr. Watanabe, in Sagara, Kumamoto, was kind enough to include this lovely maple-themed kyusu in a recent shipment of green tea. 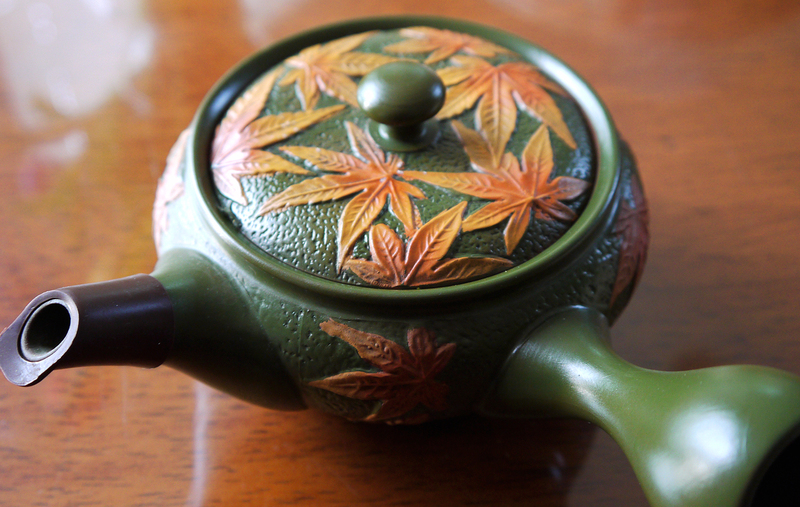 Instead of a tea basket inside, this single-serving kyusu has a built-in mesh screen at the base of the spout. This way, you can hold the kyusu by the handle and really swirl the tea around for thorough steeping. Sagara, by the way, is right next door to Hitoyoshi, known as Japan's "little Kyoto."